i waited out one storm too many to take a decent foliage picture from our window - the midweek rain stripped all of the trees on our block, so we're left with nearly bare branches and the wizened halloween balloons that get stuck right in front of our apartment every single year. 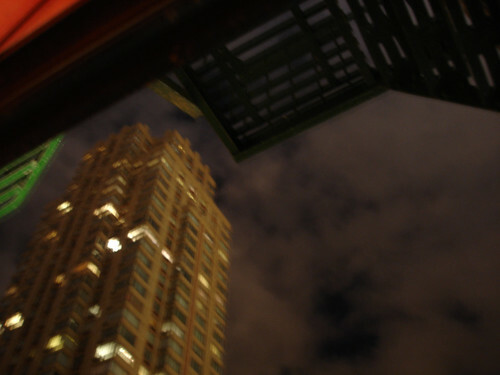 i still dig the view from the fire escape, though. i love the picture! great colors!